Just see a great tweet? Want to share it with others by reposting, AKA retweeting or RTing, that tweet? Cool! Sounds like you're getting the hang of how to tweet on Twitter. Now do me a favor, and don't touch that retweet button! Not yet, at least. First, let's talk about the change Twitter's made to its retweet feature -- a really good change, in our opinion. Download our free Twitter guide here to learn how to tweet your way to a bigger Twitter following. If you've clicked the retweet icon at the bottom of a tweet lately, you may have noticed the brand new "add a comment" feature, allowing you to comment on the content you're retweeting if you want. We love the spirit of this change because it discourages blind retweeting and encourages users to add their own voice about why they're sharing that Tweet. Before this feature existed, users had to do what's called a "manual retweet," where they'd cram both the original tweet (or a modified version) and any commentary into the 140-character limit. Now, users can embed that original tweet within their own message and then comment on it in up to 116 characters. Now, some of you may have been avoiding this new option. Hey, I get it -- we're all busy, and skipping straight to an old-school retweet is fast and convenient. And sometimes, that's totally OK. But if you're never taking advantage of the "add a comment" feature, then you're missing out the opportunity to add value to the conversion. Yes, Twitter's "retweet with comment" feature allows you to retweet with a comment up to a whopping 116 characters. But there is another way to retweet with a comment, although it won't allow your comment to be as many characters. It's called the manual retweet, and it looks something like this: Yes, it is! RT @username: The sky is blue. In the final part of this post, let's go through how to manually retweet properly. Step 1: Copy the entire tweet, including the Twitter username of the person who sent it. Step 2: Paste that information into a brand new tweet. Note: Check your link URLs carefully, as Twitter's handling can break them when you copy and paste. Add http:// back in if needed, and beware that Twitter might shorten long URLs by adding an ellipsis at the end. In this case, you'll need to manually copy and paste any link URLs from the original tweet into your new one. Step 3: Edit the tweet as needed so it's fewer than 140 characters and/or allows for comment space. Kill optional punctuation, change "and" to "&," abbreviate, omit words with mini ellipses ".." and -- if you absolutely must -- change "the" to "th" and "to" to "2". Step 4: Add your two cents. I like to use the space before "RT" to add stuff like "thank you," "you're welcome," "+1," or a remark about what I liked, my opinion, and so on. Press "Tweet," and you're done! Now we'll compare retweeting the old-fashioned way, which we'll refer to here as "auto retweeting," versus retweeting with a comment. How does retweeting with a comment work? What are the advantages and disadvantages of one versus the other? 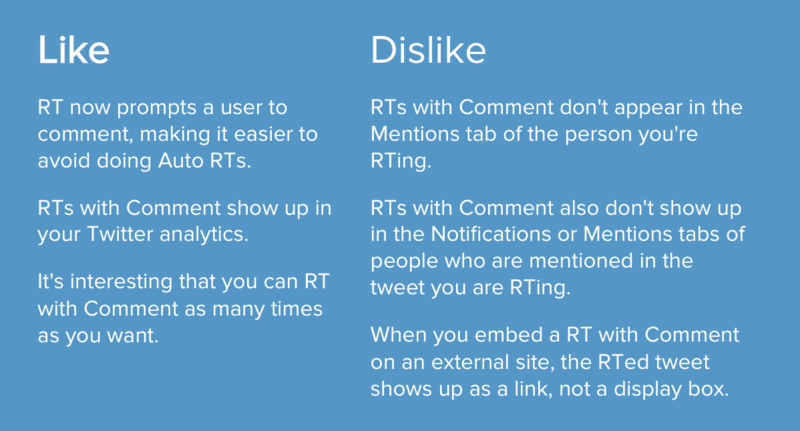 Then, we'll go over the original manual retweet and recap why it's still important, how to do it, and how to decide when it's your best choice. Click the retweet icon at the bottom of the tweet -- you know, the one that looks like a recycle icon. Decide whether you want to add a comment to your retweet or not. If you want to skip adding a comment, simply click the retweet button on the bottom right. If you want a comment on top of your retweet, fill out the "add a comment" field. Before we get into the nitty gritty, first thing's first: You've got to find a tweet worth retweeting. 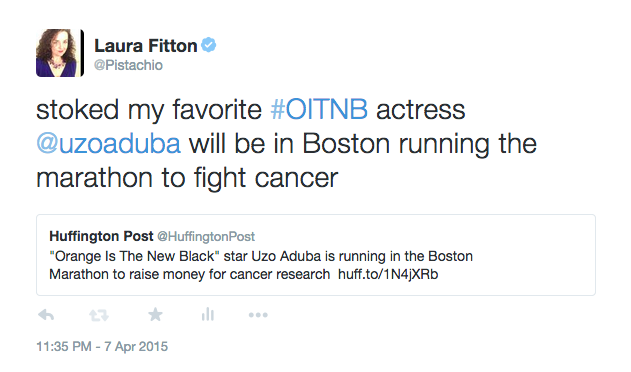 For me, it's all about my favorite Orange is the New Black actress Uzo Aduba running this year's Boston Marathon and supporting cancer research. 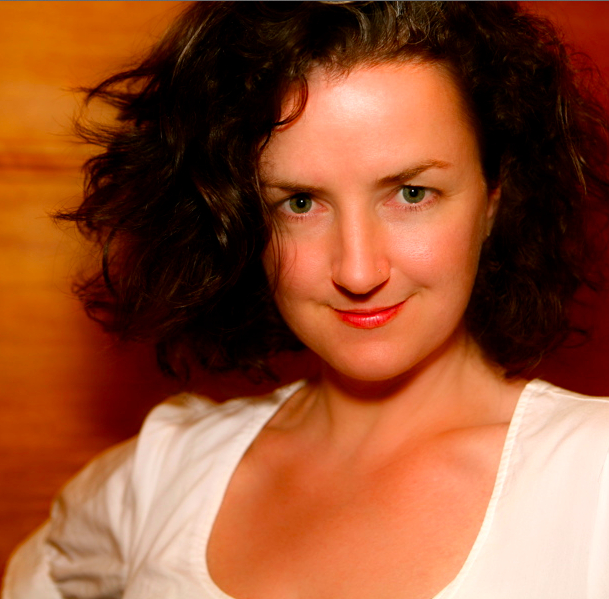 I loved her before, but I love her even more wanting to travel to Boston for such a noble cause -- plus, it's fun to think she'll be around my home city ... and OMG, wouldn't it be rad if she came to INBOUND someday and gave a Bold Talk? Anyhow, ahem. Back to business. Once you've found a tweet to retweet, the fun starts. Will you auto retweet or retweet with a comment? Now, it's time to decide whether you want to add a comment to your retweet or not. Let's take a look at what both options look like and how to do them. The addition of retweeting with a comment has not changed how these automatic retweet work, so if you dig using them, you can expect things to work as they always have. Adding that tidbit at the comment allows my followers to gain a better understanding about why I retweeted in the first place. It's possible they might even care about Huffington Post's original tweet a bit more because I've given their tweet context, like the Orange is the New black hashtag (#OITNB) and a link to Uzo Aduba's Twitter account. Note, though, that my followers are no longer able to click directly on the link that's within that original tweet. It's not blue and visibly hyperlinked anymore. Huffington Post's profile picture is also gone. But, rest assured, if they click anywhere in that box containing the original tweet, they'll be taken back to the original tweet itself. From there, they can click on any URL, hashtag, or username links that the original tweet contains. Still, without the visual cue that they can click on (like blue text that's clearly hyperlinked), they might be less likely to engage with that original tweet. I expect it's going to take people a while to get familiar with this distintion, and you may notice less engagement in the meantime. I'll also be a little self-critical here: My comment copy was a bit redundant, given how the final retweet appears. I would have done well to just put a period after the word "Boston" and let people see the marathon and the cause mentioned in the original tweet. With practice, we'll all get the hang of this slightly new type of tweet copywriting. Oh, one more thing. You can retweet with a comment as many times as you'd like, and with as many different variations of comment as you'd like. This is hugely different from auto retweeting, where you can only retweet, un-retweet, and retweet again if you want to re-share the post. Will the Original Tweeter See That I Retweeted Them? If you're retweeting someone in hopes of getting on their radar, you'll need to know how visible the various retweet options are to the person who originally sent the tweet. Here's the lowdown. Your retweet will show up in both the original tweeter's notifications tab, but not the mentions tab. Why might this be a problem? 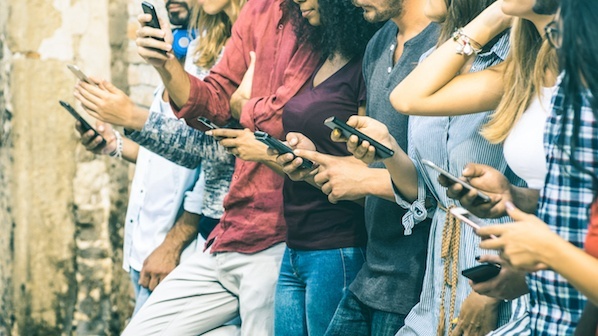 Because many people who get a lot of attention on Twitter actually rely on their mentions tab, not their notifications tab, to show them who's reached out to them specifically. This is because the notifications tab includes all username mentions in addition to favorites, retweets of tweets they were mentioned in, and other more extraneous notifications. So if you're retweeting someone in order to attract their attention, you might want your retweet to show up in their mentions tab, you'll want to do a manual retweet instead of either an auto retweet or a retweet with comment. I'll cover the manual retweet later on in this post. What Do Tweets With Images Look Like? Let's take a look at another side-by-side comparison of the auto retweet versus tweet with comment functions, except this time, with an image in the original tweet. 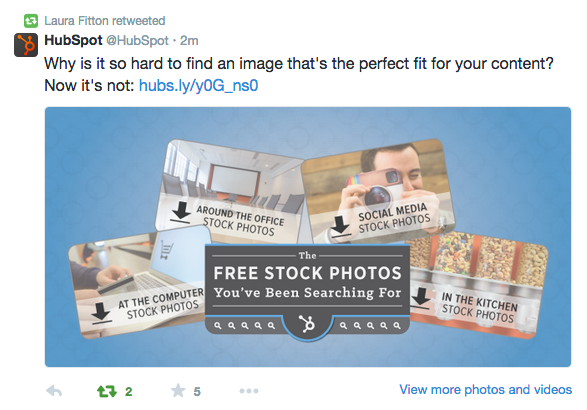 Check out the screenshot below of my retweet of HubSpot's tweet, which included an image in it. Notice that the image looks amazing and the links in the original tweet are visibly clickable. What's more, my retweet counted toward the tweet's number of retweet interactions, as indicated by the green retweet icon at the bottom. In this case, I retweeted the same HubSpot tweet by adding a comment. Notice that the image doesn't appear in full here -- instead, we have a square thumbnail that's smaller and a little less compelling. The takeaway here? If the main purpose of retweeting is to share a cool or arresting image, then stick with the auto retweet. How Do You Undo a Retweet? If you don't add a comment, you can undo your auto retweet anytime by clicking that retweet icon at the bottom of the original tweet. It won't open up the retweeting window all over again. That icon will toggle on and off with each click by changing color and the retweet count. 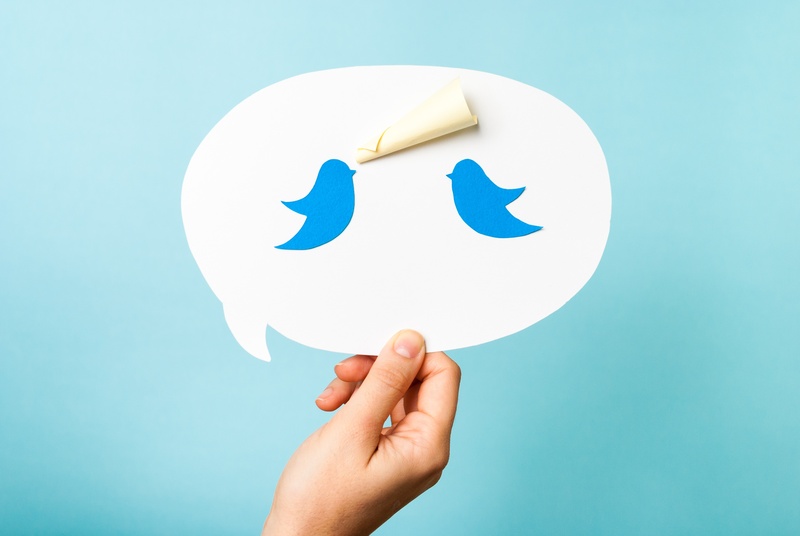 Can I Embed a Retweet With Comment on a Website? Yes, it means readers will need to take an extra step, but it gets the job done. For now, the official retweet count of a tweet (i.e. the number next to the retweet icon on a given tweet) is only attributed to auto retweets. This makes sense, but it also poses an interesting challenge to the person being retweeted in terms of how they will measure the success of that tweet. Which Should I Use, and When? Thankfully, the most obvious disadvantage of the auto retweeting button -- the ability to tell people why you felt a tweet was retweet-worthy -- has finally been fixed. Now you can add your opinion, point something out, specify your feelings, and more. Being able to add to the initial tweet is a really important aspect of retweets that Twitter missed when they first built the retweet function. At the same time, the new "retweet with comment" feature still messes up some of the important relationship-building role that retweets play. Why? Most importantly, because the original tweeter won't see your retweet in their mentions tab. This is more of a problem if the original tweeter pays more attention to their mentions tab than their general notifications tab. 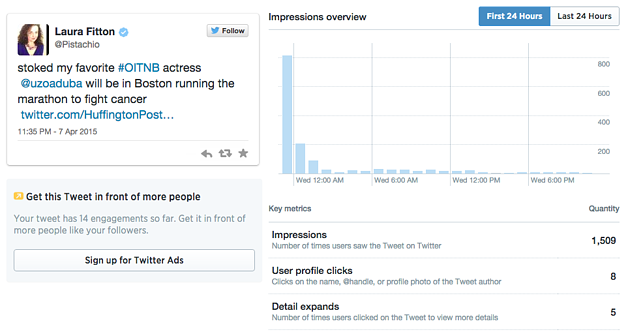 Want to see how HubSpot uses Twitter? Join in the conversation here. Editor's Note: This post was originally published in November 2011 and has been completely updated for accuracy and comprehensiveness.